We always like sharing news about Questionmark Live, our browser-based assessment authoring tool, on the blog, including the recent addition of hierarchical topics. Another big change is the new interface, which makes it easier than ever for subject matter experts and test designers to collaborate on an assessment. We’ve made it very easy to share topics and subtopics. How does it work? Simply click the share button, as you can see in the screen shot below, and type the email of the person you would like to share the subtopic with. The recipient will receive an invitation to view the topic in Questionmark Live (to see context) and the sub-topic they can work in. It’s that easy. The subtopic folder that you shared will now display a green arrow, as shown in the screenshot below. Click on the number beneath the “No. of Revisions” column to track a question’s revision history as well as to see who edited the question and which changes were made. You can also compare the different versions of the same question and roll back to a previous version. 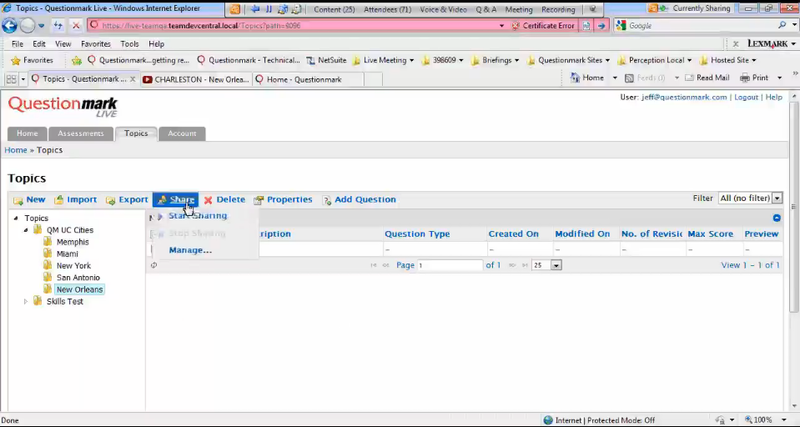 Learn more about revision history in Questionmark Live in this blog post. This is why Questionmark Live is so important. Think of it as crowdsourcing content from participants who may previously have been indifferent to the assessment process within your organization. As participation and collaboration increases, the quality of your questions will improve and become far more job-relevant. Look at the following quote from our friends at the Harvard School of Business and replace collaboration curves with Questionmark Live. Collaboration curves hold the potential to mobilize larger and more diverse groups of participants to innovate and create new value. 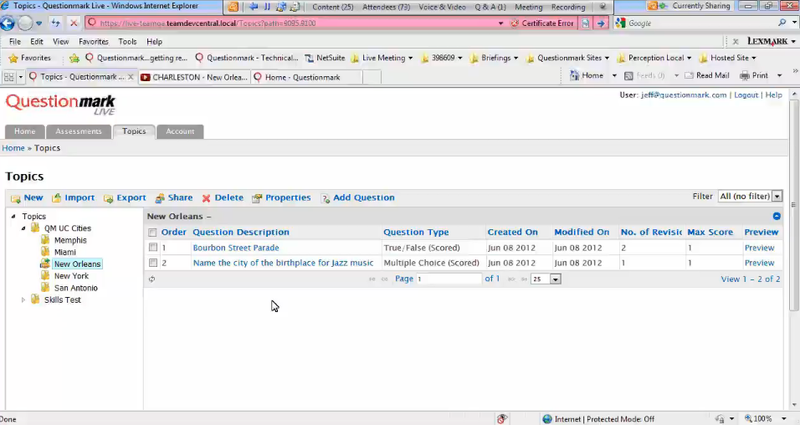 Questionmark Live is a vital tool in the creation of a true learnscape.